""Kirtan is the calling, the crying, the reaching across infinite space-and digging into the heart's deepest well-to touch and be touched by the Divine Presence,"" teaches world music pioneer Jai Uttal. On Kirtan! 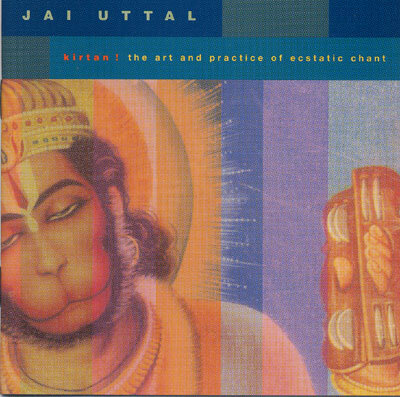 The Art and Practice of Ecstatic Chant, Jai guides listeners through the practice of Kirtan-singing the many names of God and Goddess-an essential part of Bhakti yoga, or the yoga of devotion. This sacred music form is for all people; there are no experts, nor beginners, and the practice itself is the teacher, guiding us to ourselves. ôKirtan is the calling, the crying, the reaching across infinite spaceùand digging into the heartÆs deepest wellùto touch and be touched by the Divine Presence,ö teaches world music pioneer Jai Uttal. On Kirtan! The Art and Practice of Ecstatic Chant, Jai guides listeners through the practice of Kirtanùsinging the many names of God and Goddessùan essential part of Bhakti yoga, or the yoga of devotion. This sacred music form is for all people; there are no experts, nor beginners, and the practice itself is the teacher, guiding us to ourselves.